Some things are sent to test us, even the good things. This game began as Leeds United’s games against Wigan Athletic, Brentford and Aston Villa will begin: hours earlier, wherever Sheffield United were playing. This time it was at Bramall Lane, not far from Elland Road but a world away in wi-fi terms. Hearing that Millwall had missed a penalty in the last few minutes against Sheffield United, I was involved in a technological scramble to establish whether, as I suspected, Steve Morison had gently stroked the ball into goalkeeper Dean Henderson’s arms; or whether, as I also suspected, he’d tried his hardest to score and missed anyway. Out of an information black hole came a new fact, a half-loaded web page and a score: Sheffield United 1-1 Millwall, 94th minute. It was time to panic. Starting the day one point ahead of Sheffield United kept things simple; if they beat Millwall, Leeds had to beat Sheffield Wednesday, and so on until the last day of the season when the 2nd and 3rd placed teams could finally kick-off together. That felt like quite enough pressure to be dealing with for now. Changing the rules at this late stage, making this match the one when Leeds could increase a one point lead to three, was the perfect setup for a completely different outcome: defeat, and going behind Sheffield United on goal difference. There was no way of hiding the score from the players; they were warming up on the pitch when the news from Bramall Lane was confirmed and spread through the stands, from cheer to cheer. There was plenty more to cheer beyond the late equaliser: key players Billy Sharp and Chris Basham injured, John Egan banned, manager Chris Wilder going mad with the referee. Equally, there was plenty to fear. Fate had put the day in Leeds United’s hands. First, it doused the day in petrol and set it on fire. Here. Hold on as long as you can. By half-time it was Sheffield Wednesday trying to hold on. Separate from the context, Wednesday should have given Leeds problems as a contest. Liam Cooper was withdrawn from United’s team at the last moment, replaced by Gaetano Berardi, extra disruption to a defence that was reverting to its unfancied shape of three to deal with Wednesday’s two strikers, Steven Fletcher and Gary Hooper, the latter a walking talking transfer link to Leeds ever since his Scunthorpe days. Although Wednesday had recently been beaten by Aston Villa, that was their only defeat in thirteen games since Steve Bruce ambled into their dugout. He brought plenty of strikers with him, Sam Winnall, Fernando Forestieri and Atdhe Nuhiu all on the bench, while at the back he had Tom Lees, the Liam Cooper coulda been, and goalkeeper Keiren Westwood, two brutes to bother Pat Bamford. Don Revie’s players complained that his dossiers built average teams up to sound like world beaters. With too much imagination and their dark blue jerseys, playing Wednesday felt like playing France at the last World Cup. Mbappe, Griezmann and the rest didn’t turn up, and neither did Fletcher or Barry Bannan. The only Wednesday player in form was, unfortunately, Westwood, an old foe from the League One play-off games against Carlisle; agile as ever, he saved a header and a shot by Tyler Roberts and a header by Jack Harrison; frustrating as any keeper visiting Elland Road, he was spoken to by the referee for timewasting after twenty minutes. Leeds were on their way to 28 attempts at goal, although Westwood couldn’t exactly be said to be keeping the score down; inefficient as always, fourteen of those efforts were wide, one by Roberts by inches. Wednesday had opportunities; Luke Ayling did well to tackle Hooper after he collected a through ball from Adam Reach in front of Kiko Casilla, while Casilla’s nerves of steel frayed those of the crowd: Berardi had to concede a foul after his keeper came charging out of goal and was left on the ground after not winning a tackle, and Casilla almost went full John Lukic against Rangers by punching a corner backwards. Then he dived at full length to tip Bannan’s shot around the post, a good save, but the chance was not a contribution to calm. Neither were United’s missed chances; the longer Leeds went without scoring, the greater the fear that Wednesday would. But United’s shift from Cooper to Berardi was seamless at the back; Marcelo Bielsa demands that his defenders be brave in the tackle and with the ball, and bravery has never been a problem for Berardi. 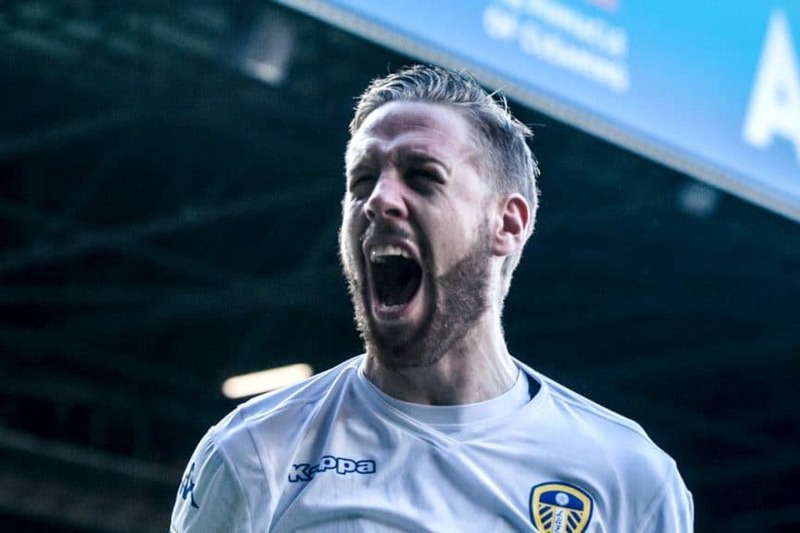 He brought back the memories of late last summer, when we wondered how Pontus Jansson was going to come back from the World Cup and regain his place; he tackled everything, including Ezgjan Alioski, and while he was determined to play good straight passes out of defence, he was also determined not to take risks, booting the ball forty yards to touch when required. Alongside him, Jansson demonstrated how and why he did take his place back, dominating Wednesday’s strikers in the air and on the ground. Jansson and Berardi’s strength allowed Bielsa to alter his instructions after half-time. Phillips began doing more of his work in midfield, and United began attacking with more purpose. The first half had been characterised by Ayling and Mateusz Klich missing each other by inches as they built attacks towards Pablo Hernandez down the right, and Alioski and Harrison confusing themselves in intricate patterns down the left. Harrison in particular, dribbling into the penalty area, was causing panic in Wednesday’s defence, but Leeds couldn’t keep calm enough to score. Roberts was playing well by carrying the ball through the middle, but more Phillips in midfield in the second half meant more Pablo Hernandez everywhere, teaming up with Roberts in search of danger. Just after the hour Hernandez dropped deep, dusting the ball down and giving it to Phillips. He played a straight pass up the pitch to Roberts, who turned and ran at Wednesday with Hernandez alongside him, ready to replicate the goal he scored against Millwall that replicated the goal Chile scored in 2008, etc. Roberts xeroxed the first part, passing wide right to Ayling, but he flipped to a different script, crossing from deep to the back post. Harrison diverted it low into the six yard box and Bamford: Bamford, well. After the ball went wide Tyler Roberts was bent almost double, his head in his hands. 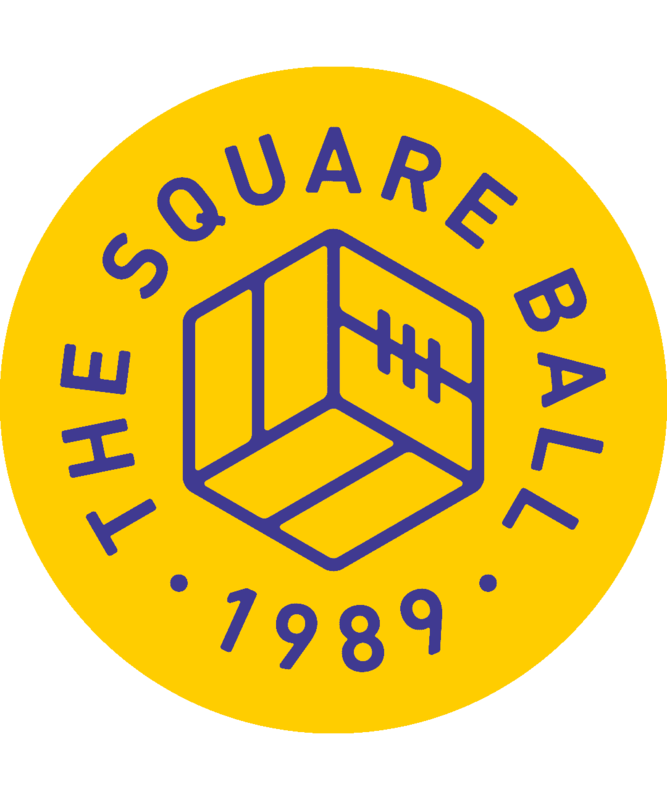 It was typical of Bamford’s luck rather than his ability that, first, his carefully placed finish went wide, and secondly that Kemar Roofe was standing on the touchline ready to replace him. Bielsa, who normally prefers to ignore players when they’re substituted, went to shake Bamford’s hand as he came off; he shook Mateusz Klich’s hand too when he came off exhausted, so perhaps Bielsa is thawing his otherwise deliberately cold relationship with the players now the summit is so close, and he doesn’t want them to feel bad. And, miss or no miss, Bamford this season has scored decisive goals against Bolton twice, Bristol City and Preston, together worth eight points. His current unreliability is frustrating, but his contribution to the season between injuries will do, pig, it’ll do, until the summer when he can practice with some clay pigeons and a rifle. It was also typical of Bamford’s luck that, within a minute of him going off the pitch, Jack Harrison scored a replica of the chance he just missed, as if the secret to scoring goals for Leeds is to get Pat out the way. Westwood’s clearance dropped onto Klich’s head, and he headed the ball firmly forwards, took it back from Roofe, then passed it wide to Hernandez and drove ahead of him. Hernandez gave it back to Klich in the corner and although he couldn’t win more than a throw-in, Leeds were firmly attacking again. Hernandez took the throw quickly to Roberts, who let it roll into the middle of the pitch with him, where he scanned the penalty area, looking at Harrison and Roofe darting around like a front two. Finding Hernandez again is always a good option, especially when the defenders have lost him, and from the right edge of the penalty area Hernandez had a better angle towards those forward players. A low ball to the front post was finished by a deft touch by Harrison, and all hell broke loose at the front of the South Stand. And at the back. And in the East, North and West. And the corners. The half-time reset had taken place in the stands too, as if everyone had met at the bars and on the concourses and had time to say, that was okay, we can do this second half. The volume was increasing steadily towards the hour mark, the hour when Harrison scored, the hour when Leeds stared down the fates and declared, this time, they weren’t going to screw this up. There was still half an hour for them to try to. Bruce replaced his strikers, and Forestieri was dangerous; hell was no longer loose inside Elland Road, but purgatory was, as the crowd’s confidence at 0-0 was replaced by the unease of feeling dreams coming true, and feeling they’ll be snatched away. United’s players were confident all afternoon, and if their self-belief falters in games when they don’t score, in games when they do, they become wonderfully arrogant. Leeds had chances; for three seconds they also left a huge space on the left that Wednesday couldn’t fill, but was filled instead by Leeds fans throwing their hearts and stomachs. The game ended with Jansson leaping to win one hefty defensive header, then seconds later another, then chasing Tom Lees out to the touchline so he couldn’t do anything but pass backwards. That was the power, and the final whistle was the glory. Subscribe now from £1 a month!